Show me your horse and I will tell you who you are. Our horses are more than just a mirror. They are family members and we engage in real relationships with them both on the ground and in the saddle. 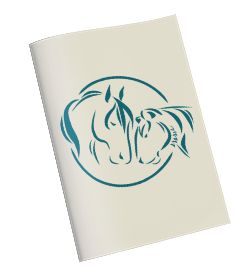 And, just like with our human relatives, our relationships with our horses can at times be triggering, marked by conflict and miscommunications, and shed light on our growing edges. The interspecies dynamic that we have with our horses is impacted by a number of common factors. We each have a personality, a nervous system, attachment patterns, and a history of both positive and adverse experiences that leave an imprint. Challenges arise at the intersection of these elements, especially if there are specific patterns or past traumas (human-based, equestrian-related, or otherwise) that linger unresolved beneath the surface. It doesn’t matter whether the traumas are relational in nature, or as a result of physical injuries, brain injuries, falls, or other fear-inducing experiences – the resulting impact can be pervasive, complex and impact functioning for human and horse on many levels. Re-enactments are common — re-experiencing familiar yet frustrating scenarios over and over again as we ping off one another, with unsatisfying outcomes for both human and horse. Re-enactments and setbacks also occur when attempting to overcome challenging behaviours or interactions through willpower, coercion, submission, or increased use of restraints, pain or force. Patterns are further exacerbated when other dysregulated nervous systems are added to the mix. A horse and rider who both have unresolved trauma and insecure attachment working with a coach or an instructor who also has this background can be a recipe for conflict and further re-enactments. Using aggression, abuse or escalating behaviours and activation in a top-down attempt to motivate students and gain control over a triggered horse is rarely beneficial and goes against documented neuroscience. Ideally, good horse trainers or instructors are like couples therapists; they approach the relationship dynamics with a trauma lens and an understanding of attachment to help both human and horse shift out of survival activation into greater safety, security and functionality. They recognize that it is difficult to learn and perform at high levels when the brain and nervous system are hijacked by activation and fear. 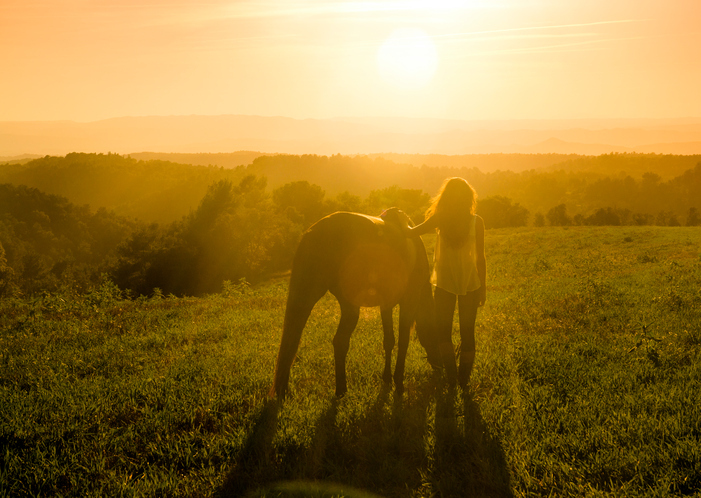 Like couples therapists, horse trainers or instructors are aware of the impact of their own states and reactions on those they are working with and model the regulation and attunement they hope to foster in others. Fear, anxiety, emotional dysregulation, chronic frustration or impatience, shame, lack of agency or assertiveness, inadequacy, survival responses (fight, flight, freeze, fawn/appeasement, clinging, dissociation, submission, shutdown), helplessness, defeat, projecting, enabling, self-criticism, boundaries that are too porous or too rigid, perfectionism, addictions and compulsions (aka “stable vices” in equines)… each of these is a COMMON, normal experience that arises as an adaptation to adverse life conditions. Each poses particular difficulties when it comes to effective horsemanship and the equine-human bond. And, most importantly, each is an area of growth that can be addressed with awareness, skills and self-compassion. Regardless of your focus, whether enjoying horses without an agenda, learning groundwork or liberty interactions, or participating or competing in a particular discipline, getting a better understanding of yourself and the things you carry into your interactions with your horse (or your interactions with your students and their horses) is an important part of horsemanship and building safety and co-regulation in relationship to improve trust, partnership and performance outcomes. Therapist-Assisted Horsemanship™ incorporates Somatic Experiencing®, attachment theory, polyvagal theory, and trauma neuroscience. It provides trauma-informed horsemanship instruction for groundwork interactions or horseback riding, pairing an instructor/coach with a therapist to offer information, skills and tools to enhance emotional intelligence, somatic awareness, and support the repair of relational ruptures. In some cases, further 1:1 trauma therapy for the humans may be necessary to address residual activation and incomplete movements and self-protective responses associated with particular memories, using a combination of Somatic Experiencing®, SE™ touch work, relational rupture and repair work, EMDR and ego state work.